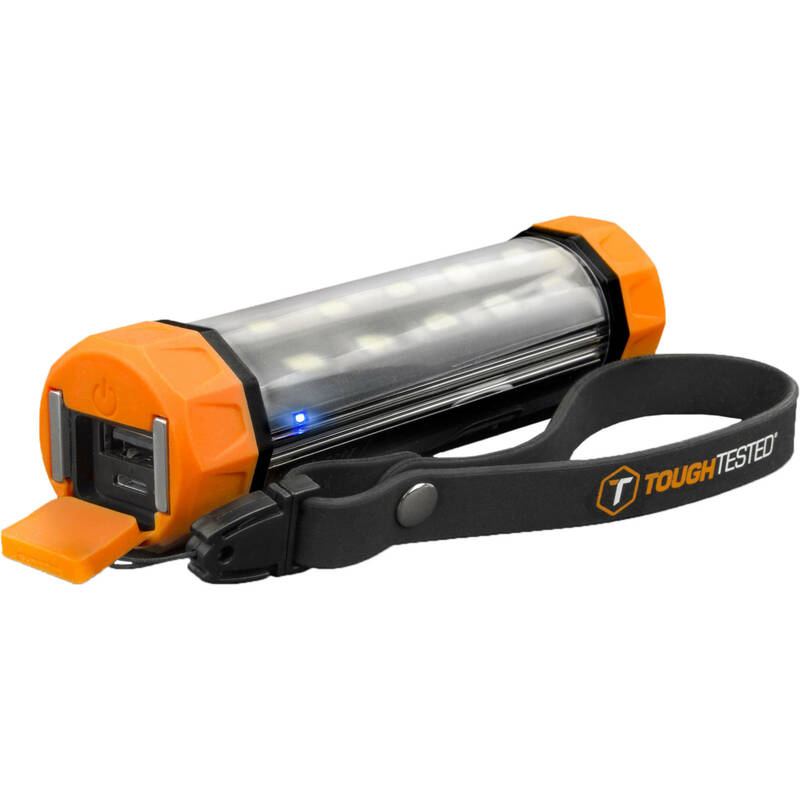 The XIP 3300mAh Rechargeable Sport Utility Powerbank with LED Light Tube from ToughTested is designed to be a multifunctional accessory that can charge mobile devices and illuminate dark areas when needed. This power bank's battery has a 3300mAh capacity and houses a single USB Type-A and micro-USB port. It also resists water thanks to its IP66 waterproof rating. Furthermore, the XIP can be used as a flashlight, bike light, or work light that shines up to 90' with its three-mode LED. There's also an integrated five-mode 20W utility sport light that comprises of 10 LED lights, which can be switched between the colors white and red with its light array panel. This power bank comes with an included carry strap to make it easier to transport the compact unit. Box Dimensions (LxWxH) 8.8 x 6.1 x 3.5"